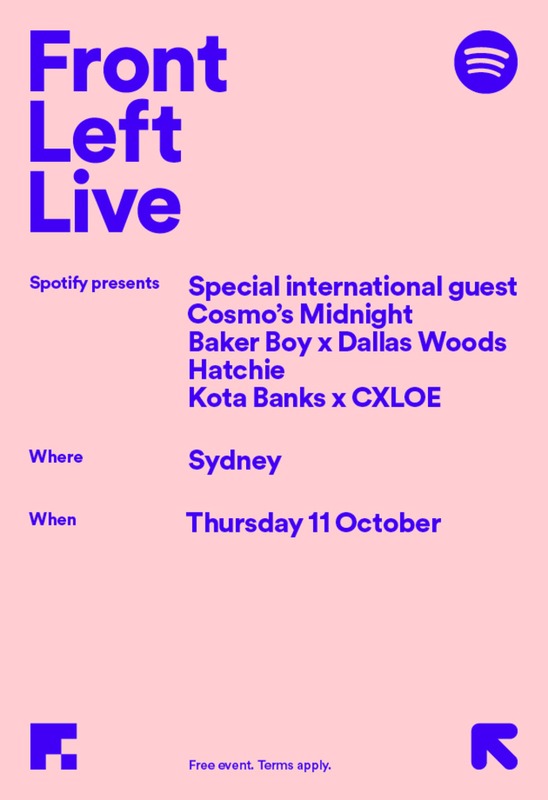 Spotify has made a major announcement today with the line-up for “Front Left Live” – a unique, live playlist event in Sydney on October 11, giving fans the chance to experience their favourite new music playlist in its purest form. “Front Left Live” will feature some of Australia’s most promising emerging talent including Cosmo’s Midnight, Baker Boy x Dallas Woods, Hatchie, Kota Banks x CXLOE, alongside a special international guest to be announced closer to the event. Hmm.. we wonder who it could be? The event will take Spotify’s Front Left playlist (formerly Indie Mixtape) to the live arena for the first time and will showcase why Front Left is already Australia’s go-to destination for local music creators and listeners looking to discover the greatest new artists producing innovative and genre-defying music. Spotify has previously hosted live playlist events internationally, including Rap Caviar Live and Hot Country Live in the US, as well as Who We Be Live at Alexandra Palace in the UK. Front Left Live will be Spotify’s first playlist event in the Southern Hemisphere. Mirroring the joy in discovering your new favourite song or artist, “Front Left Live” will bring these moments into a live realm, giving fans and listeners a chance to relive those feelings for one whole evening with artists on the cusp of great things, alongside a special international artist soon to be revealed. Get to know the artists performing via the playlist below and make sure you register for the ticket ballot right here, right now! 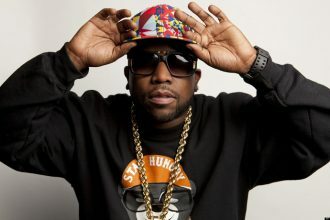 Seven-time Grammy Award-winning artist and one half of hip-hop duo OutKast, Big Boi has revealed today his tremendously anticipated return to Australia for two dynamic headline performances in March! Click the photo for more details.